Dear CTET candidates! We have started our fresh batches for CTET exam - both in the morning and evening session as per your convenience. The CTET exam is going to held on 22 Feb, 2017 (Sunday). This coaching program covers the entire syllabus of Paper-1 and Paper-2 in the span of three months. We have scheduled the classes for the duration of 2 hours on five days in a week with regular assessment tests on weekends. Our study material is well prepared as per the latest CTET syllabus and exam format which play a significant role in revising the things that your are ?going to be taught in the classroom. 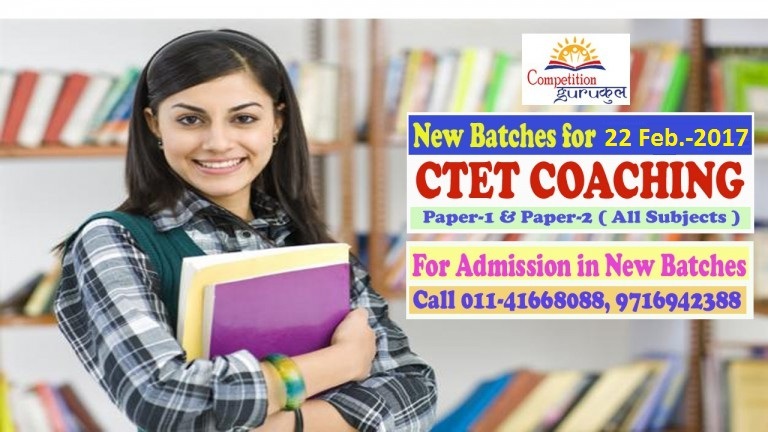 We have some of the best teaching faculty of?CTET coaching that guarantees your success in CTET exam by providing you result oriented coaching in just three months. So, don't wait. 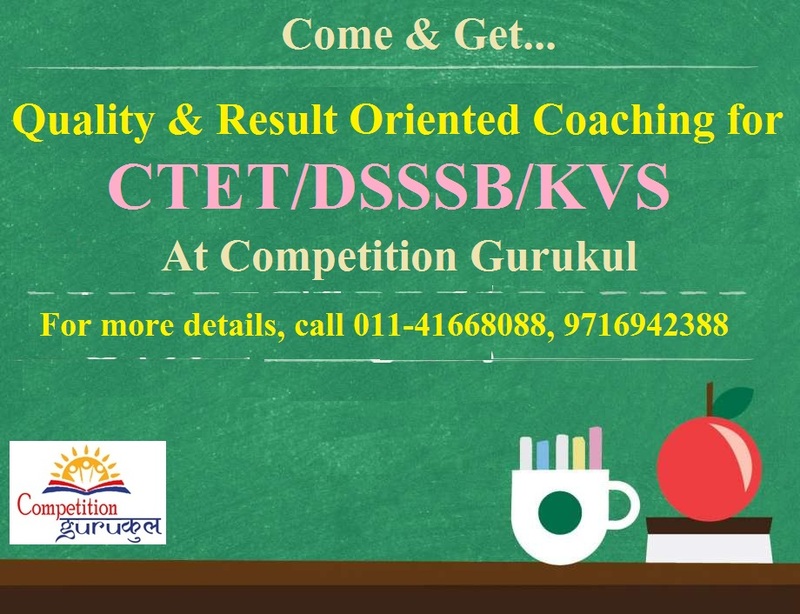 Call us today for admission in our CTET coaching program. For getting best result and immediate benefit, call us today. Our institute is opened on all seven days from 10 AM to 8 PM.